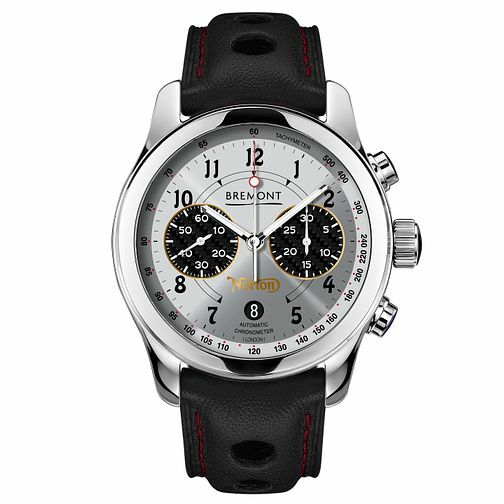 To celebrate the parntnership of Bremont and Norton Motorcycles, Bremont have released this limited edition timepiece inspired by the SG6 racing bike. This limited edition V4 is only 200 pieces that will be available for general sale. It combines numerals similar to the classic Norton typeface with gold chronograph borders, a gold Norton logo, housed in a beautifully polished Trip-Tick® three-piece case.